The Center for Medical Research of Lambaréné (CERMEL) will from now on host a professorship focused on immuno-epidemiology and clinical research in infectious diseases. This new position allows the appointee to be recognized as a university professor. 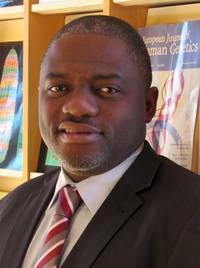 Indeed Dr. Ayôla Akim ADEGNIKA, who was appointed to this professorship by the University of Tübingen, has been working for several years towards developing a malaria vaccine. This first appointment will reinforce the multi-party partnership between the Gabonese Government, the German Center for Infection Research (DZIF), the Institute for Tropical Diseases of University of Tübingen in Germany, and CERMEL. Moreover, the majority of the professorship’s research activities will be conducted around Lambaréné.